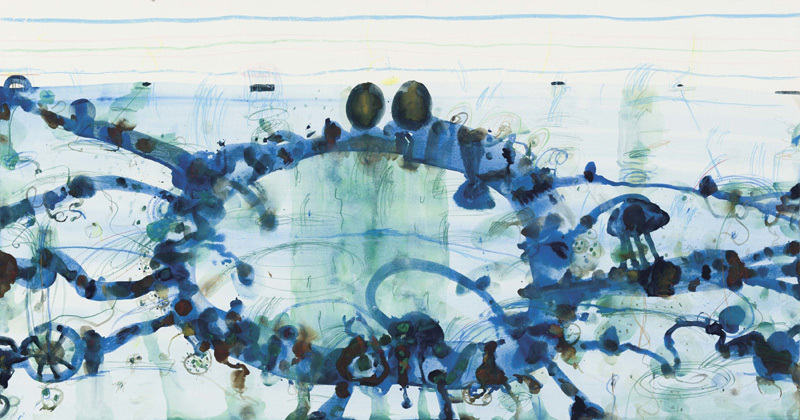 John Olsen fine art print titled Harbour Pool, hand is signed “John Olsen” and limited in edition to only 35 peices, there will be 3 artist proofs also available above the actual edition of 35. John Olsen Harbour Pool limited edition fine art reproduction print Harbour Pool, editioned by the John Olsen carry’s a blind embossed stamp of a Kookburra design drawn by John Olsen confirming their validity. NEW RELEASE Harbour Pool is Printed on 100% archival 308 gsm acid free cotton rag watercolour paper, Harbour Pool print Image size is 71 x 135cm. Lay Buy Harbour Pool print by John Olsen, up to 12 months no fees.